OAKLAND–Behind a chain link fence on 35th Ave, the man who gardens every day for other people grows his own roses, gathered around a statue of the Virgen de Guadalupe. Off 98th Ave, backyard barbeques are legendary, as is the young cousin who always wins the battles of wits and words that break out after the hot links are finished. The elders on 8th Street trace smooth Tai-Chi flows into the crisp dawn air, pivoting on one heel to turn towards the sunrise. These are the flatlands of Oakland. These are the places we call home and they are now at great risk. In the space of only a couple of years, the Oakland flatlands went from being the epicenter of the foreclosure crisis, losing tens of thousands of long-time Black and Latino residents welcoming a wave of corporate investment that will not only fill the gap left by those who were pushed out, but reshape working class neighborhoods in Oakland, and transform the city as a whole. Corporate investors are ahead of the game. They have descended on Oakland and snatched up a shocking 42% of homes lost to foreclosure, 93% of which are in the flatlands . And finance capital is creating the conditions for a growing bubble in the housing market — rent securitization, a way for investors to trade on rents the way they did on mortgages . They will profit from the new renters created by the foreclosure crisis, and from an entire new class of people coming into redeveloped neighborhoods, attracted by highly paid tech jobs in the region. Proclaiming that “a rising tide lifts all boats” even city officials who identify as progressive have embraced and facilitated this ruthless brand of corporate investment, anxious to bring revenue in, without enough consideration of the impacts those investments will have on neighborhoods vulnerable to the dynamics of gentrification. The second 10k plan stretches into adjacent areas like North Oakland, and the light industrial zone between downtown and East Oakland. The plan’s vague promise of “up to 25% affordable units” is inadequate to address the urgent and overdue needs of the neighborhoods that are being targeted for this development. In North Oakland, for example, 40% of residents are under the poverty line. New housing at 29th and Telegraph should be built for those working class residents. We need to have stronger protections to keep the housing they rent affordable and in livable condition. It somehow seems beyond the limits of local officials’ political imagination to prioritize housing and development for people who built this city and need it the most. Or perhaps is it just easier to let the problem of poverty, and its survivors, get pushed out to underserved working class suburbs, where they become someone else’s problem. Causa Justa :: Just Cause member Mustafa Solomon has lived with his daughter near Market St. in North Oakland for 17 years. “We like living in Oakland,” he says. “I’m a photographer and it’s close to the cultural scene that I work with. I have lived in the same neighborhood all these years. It’s where I’m the most comfortable.” He and his daughter were displaced after an accidental fire in their kitchen. They lacked a smoke detector, which is a landlord’s legal responsibility to provide. The landlord took advantage of the situation to evict them. Without relocation assistance, Mustafa lived in his car for a week while coming up with the resources to move him and his daughter to a motel in Vallejo for 6 months while the unit was being repaired. Now that he’s back in the unit, the landlord is trying to pass through the cost of repairs by raising his rent. The African American community is clearly the canary in the coalmine. A warning of what’s to come for all of Oakland’s working class communities if we don’t change our approach to development. As this new wave of investment comes into Oakland, situations like Mustafa’s are commonplace. Thousands of other African American tenants face similar challenges, as do immigrants, senior citizens, disabled people, queer people, and other tenants vulnerable to discrimination and harassment. Causa Justa’s tenant rights clinics have recently seen a sudden and significant increase in these types of cases. While investment money floods in to build luxury lofts, what’s left of the affordable housing stock is in deplorable condition, and tenants lack the legal tools, or political power to defend themselves against the pressure of displacement. Tenants who pay more affordable rent due to long-term tenancies are finding themselves unable to get basic repairs, are being harassed and discriminated against, and living in unhealthy conditions. Without legal protections, tenants cannot compete with the profit motive that entices landlords to push them out. Refusing repairs and harassing a tenant is an easy way to do so without having to follow any legal process. Building new housing doesn’t address the problem of habitability that working class tenants face, and it often accelerates their displacement. More affluent people, many of them single, young white tech workers, quickly take up the space that is left when people like Mustafa are pushed out without so much as a legal eviction notice. 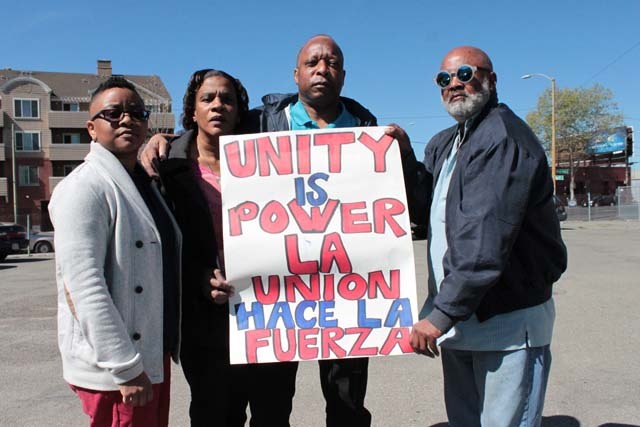 Gentrification – the profit-driven race and class remake of urban working class communities of color that have suffered from a history of divestment and abandonment – is evident all over urban centers in the US, where long-time communities are being pushed out of their homes. Can Oakland stand up and be a bold model of something different? See our report, Development without Displacement here. Tenants at the Hillside Apartments in East Oakland for instance, have organized to collectively demand remediation of the infestation of mold in their building and reclaim their right to healthy housing. Dansheeka was one of the first to stand up in her rent controlled building, moved to take action after her daughter was hospitalized for respiratory problems caused by the mold. As if it wasn’t hard enough to deal with illness, mold, and a negligent landlord, Dansheeka’s struggle is compounded by the lack of investment in city infrastructure to oversee and maintain rental housing in livable condition. Our city needs to prioritize direct investment into the housing that people who live here already have. The difference between a policy on paper, and one that Mustafa or Dansheeka can count on to live in a healthy home, is organizing, and the collective power we build when we come together to defend our neighborhoods and homes. Without aggressive action on behalf of existing residents, gentrification will destroy the rich cultural fabric that Oakland — the most diverse city in the country — has always been so proud of having. Rather than step up to the challenge of addressing racialized poverty and investing in Oakland’s longtime African American communities, immigrant communities, and communities of color, plans to streamline corporate development simply push people out. Out of the town, out of their homes and diverse cultural communities, and away from the network of community-based infrastructure through which they exercise progressive political power. What we have in the Bay Area housing market is not a simple problem of supply and demand; it’s a problem of the lack of corporate and political accountability. We need aggressive, progressive taxation, regulation, and accountability in the housing market and from our city government. We need city officials and decision makers who will step up to the challenge of defending long term residents from gentrification, and partnering to support those residents in building a long-term vision and strategy for healthy, stable communities. Oakland is now composed of a majority renters. That post-foreclosure-crisis reality needs to be reflected in the policies and approach the city takes to housing. We need strong regulations in the rental housing market. Causa Justa :: Just Cause is proud to have co-created the Tenant Justice Campaign, a broad-based effort to improve laws regulating tenancies and rental housing. Earlier this month we were successful in forcing the Oakland City Council to strengthen rental laws by limiting the ways landlords can raise the rent, forcing them to register every rent increase with the city, and limiting total rent increases to no more than 10% a year, ever, for any reason. This is the first right tenants have gained in Oakland since 2002, the year our organization was founded here, through a broad community-based campaign to implement a Just Cause ordinance limiting evictions. We will be back at the City Council to finalize and strengthen this victory against rent increases. 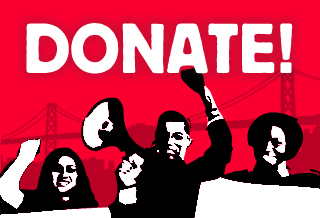 And we are building towards a ballot initiative in November 2014, asking Oaklanders to support an ordinance creating legal precedent to protect tenants, immigrants, seniors, queer people, and families with children from being evicted and displaced by landlord harassment, including the neglect of basic repairs and maintenance. These policy reforms are crucial to addressing the crisis of gentrification in the lives of everyday people. Both by providing legal handles for people to fight for their homes, and by building the political protagonism of directly impacted people. That said, these policy changes are just one aspect of the long-term transformative change we need. The difference between a policy on paper, and one that Mustafa or Dansheeka can count on to live in a healthy home, is organizing, and the collective power we build when we come together to defend our neighborhoods and homes. The struggle for healthy, stable housing shouldn’t be an individual fight — a source of anxiety that jolts Dansheeka awake in the middle of the night and moves Mustafa to tears as he contemplates his future. In order to be successful the struggle must address the collective needs of the working class African American community they are both leaders in, and build the sense of community that Oakland has a whole, always embraced. 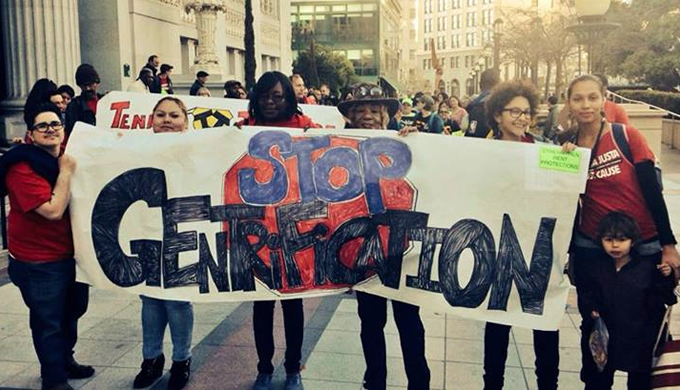 An individual approach to the gentrification crisis will not work. It will only reinforce our isolation, turning us from families and communities into consumers of housing, convinced that gentrification is natural, displacement is inevitable, and the best we can each do is try to save our own skin. For the sake of our city, for the sake of the communities we thrive in, the struggle for stable, habitable homes needs to be a collective one; a people-powered process that shows us our power as creators of community instead of as consumers; a process that city officials accompany us in as allies of the people they represent; a process that builds grassroots institutions through which we build long-term progressive political power and grow in community with each other in the city we call home. Click here to read the original story in Organizing Upgrade.